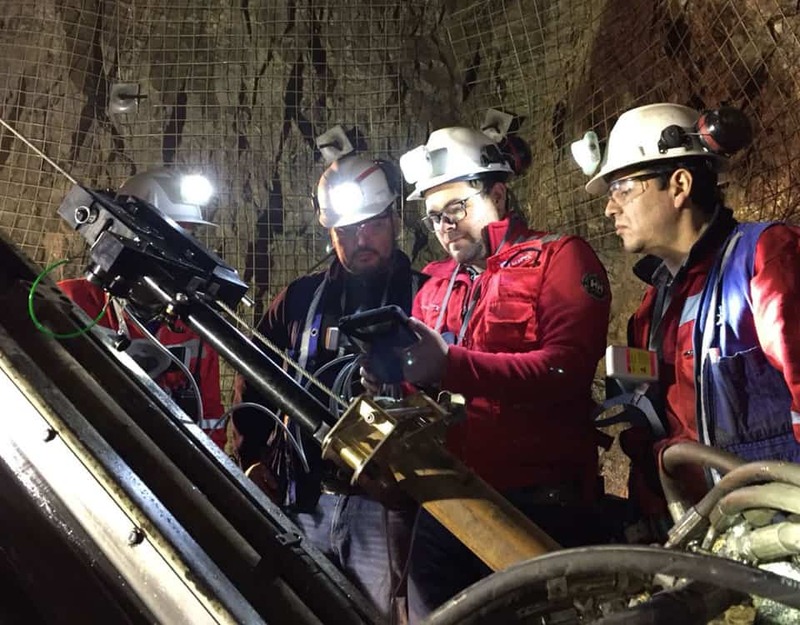 AMC Borehole Optimisation System™ (AMC BOS™) successfully controlled fault zones and changing formations at a gold exploration project in Chile. This innovative system was able to have a positive effect on productivity and reduce the consumption of mud and water by effectively managing and preventing lost circulation, high torque and borehole instability. A gold exploration project located in the IV Region of Chile, some 3,500 to 5,200 metres above sea level, had issues with constant formation changes and complicated fault zones. Formations consistently produced complete or partial fluid losses. There were several soft and problematic formations resulting in lost circulation and causing issues such as hole failure, stuck rods and lost casing. Such lost circulation problems resulted in delays to the drilling program, which delayed total progress of the project and its comparative performance against other campaigns in the same area. The client implemented reverse circulation pre-collars before diamond drilling to complete more drillholes; however, they were searching for a preventative solution to address lost circulation. Note: Cost of hole 21* includes the cost of AMC BOS FIX™. Note: Hole number 22 presented a lithology consisting of mainly compacted ground, therefore water consumption was naturally low, while hole 21 presented a semicompact ground with highly fractured zones. Achieved and maintained a lubristic membrane to control the conditions of the borehole and avoid the use of wedges. After an initial trial with the AMC BOS™, AMC had achieved strong results. For the second trial, AMC suggested the method be implemented from the commencement of the hole as a preventative measure against lost cirulation. The AMC BOS™ comprises of a driller-operable, casing-while-drilling tool, the AMC BOS UNIT™ and lubricating rapid-fill polymer grout, the AMC BOS FIX™. Throughout the trial at hole 21*, AMC BOS FIX™ was injected at regular intervals, penetrating fractures and securing unstable rock by encasing the borehole wall with a thin lubricating membrane. AMC BOS™ was able to treat the application area, which consisted of semi-compact rock with fractured zones to improve stability, torque control and fluid losses from beginning to end. Reduced the risk of lost boreholes, stuck rods and other drilling issues through the complicated fault zones. From the implementation of the AMC BOS™, AMC was able to achieve several improvements in drilling efficiency and was pleased with the overall result.